According to Peter S Kirk the city that bears his name today, Kirkland, was supposed to be the Pittsburgh of the West in the 1890s. There were abundant natural resources of iron-ore and limestone locally. A.A. Denny and other local celebrities had discovered rich iron-ore deposits the 1880s. The local residents were very supportive of a steel mill because of the prosperity and wealth it would bring to the newly platted town of Kirkland. So, what happened? Peter Kirk, from Workington in England, was experienced in iron and steel production and had access to qualified personnel to start a steel mill. He had also toured through several steel mills in Pittsburgh prior to coming to Seattle. He had officially incorporated the Moss Bay Iron and Steel Company of America in 1888 and secured $5,000,000 of capital. This is about $138,000,000 dollars in 2019 dollars and was thought sufficient at the time to start a steel mill. Sadly, there were a number of factors that conspired against Kirk and other investors to assure the mill would not be built. First, the year 1893 saw a major downturn, or “panic” in the stock market. East coast investors suddenly saw their money evaporate. Kirk had the original money but it was being used up rapidly to purchase equipment for the new mill and he needed more to continue. It is an expensive proposition to start a new steel mill from scratch. Money and investors were evaporating in a hurry. Second, transportation was a major issue. The plan for the mill was to produce rails for a rapidly expanding west coast railroad building boom. The finished rails had to be moved from the eastern shore of Lake Washington out into Puget Sound and into the Pacific Ocean. Though a Lake Washington Ship Canal was being talked about and planned it had not yet been built. The Montlake Cut was neither discussed nor planned at this time. Without these two public works projects it would be very difficult and expensive to move the steel out of Lake Washington much less out of the Puget Sound area. 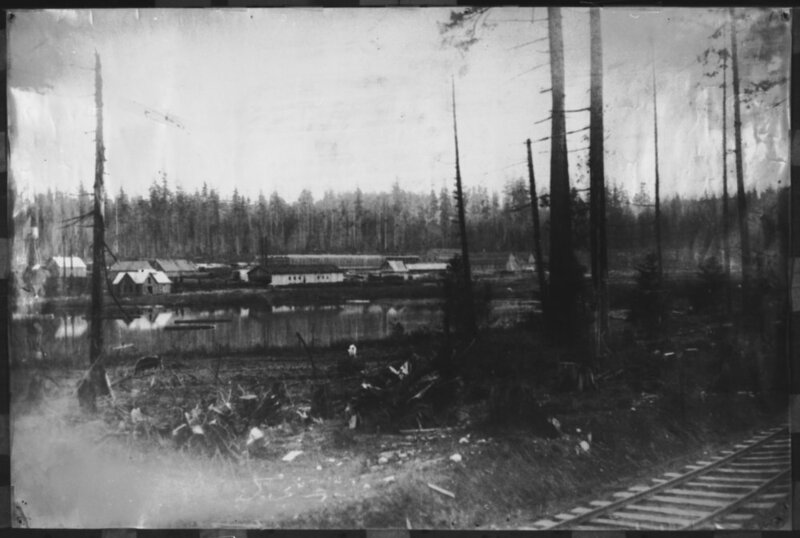 Another transportation issue not yet solved was the railroad spur to be laid from the iron-ore mines near Snoqualmie to the Rose Hill steel mill site. Given the nation’s financial woes in 1893, it was not going to get built soon. The final hurdle to overcome was the high ash content of the nearby Newcastle coal. High ash content coal is not good for coking coal, a key ingredient in steel manufacture. Sadly, Peter Kirk did not have a viable backup plan to get the coking coal he needed. It probably would have been possible to solve one of the aforementioned problems and move on with the steel mill. However, all the problems combined proved too much to overcome and the steel mill bubble burst, for good. 1. Bagley, Clarence B, History of Seattle: From the Earliest Settlement to the Present Time. Volume 2, page 632. 3. Sherrard, William Robert, The Kirkland Steel Mill. Thesis in partial fulfillment of Master of Business Administration, University of Washington, 1958.